Home » News archive » PROMETHEE: R…e." 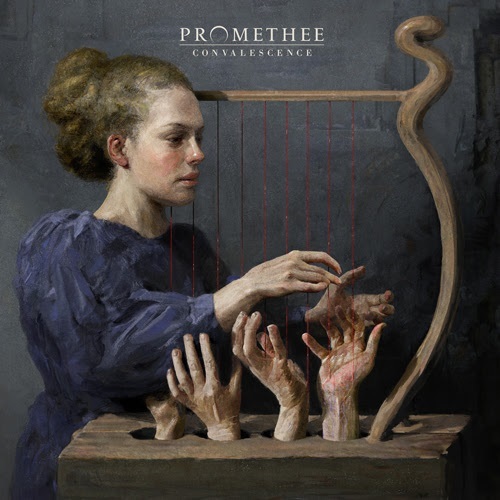 PROMETHEE: Reveal Third Single from "Convalescence." This Friday the new album "Convalescence" by Swiss metalcore outfit PROMETHEE finally drops, time for the fantastic video for 'Demons'by Igor Omodei. “Convalescence” was recorded at Silver Cord Studio in Brooklyn, New York with engineer Johann Meyer (Grammy nominated for his work on Gojira’s “Magma”) and mastered by Jens Bogren (Opeth, Devin Townsend, Kreator) at Fascination Street Studio. The cover artwork has been made by talented artist Eliran Kantor (Testament, Thy Art Is Murder, Hatebreed).